It is with sincere honor that I became the Principal of Hillcrest School in July of 2013. 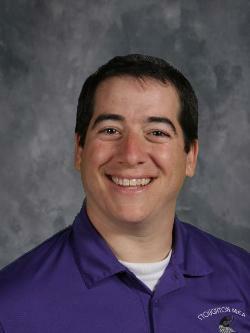 Previous to this, I was an associate principal for Stoughton High School from 2008 to 2013. Previous to that, I was a teacher and administrator under-fill for Milwaukee Public Schools from 2004-2008. I also taught for San Diego Unified School District from 2001-2004. Having over 12 years in education, teaching Elementary, Middle and High School, and teaching and administrating in urban and suburban educational settings has provided me with great educational experiences. I received my Bachelor’s degree from the University of Wisconsin – Madison in 2000. I received a Master’s degree from National University in San Diego California in 2003. I am currently in dissertation status at the University of Wisconsin – Milwaukee and look forward to holding a Doctorate degree in 2014. My schooling has been and continues to provide me with the opportunity to learn the current best practices surrounding education. Another important professional component is professional association. I have belonged to and participant in the Association of Wisconsin School Administrators (AWSA). I have presented at the School Leaders Advancing Technology in Education (SLATE) conference. Participated as a member of the Associate Principal Committee, presentation on panel at Aspiring Administrator Workshop, presided over round-table discussions and the Associate Principal Conferences, and attended AP, WI Leadership Academy, SLATE, and Annual AWSA conferences. I was nominated 2013 Wisconsin Associate Principal of the Year. Collaborating with my administrative colleagues is an enormous asset in keeping current on successful school practices being used around our neighboring school districts and our state. On a personal note, my family is the most important aspect of my life. I adore and enjoy spending time with my five children and my wife; they mean the world to me. I enjoy learning new things all the time. I love to play hockey and golf. My view is the mission of a school, with students as our number one priority, is to ensure educational opportunities which challenge students to achieve excellence, maximize their unique talents and abilities, prepare them to face the demands of the future, be literate, and contributing members of society. In order to achieve this mission, our school is committed to continuously transforming the current educational system so all students can succeed. All staff shares this responsibility and will act as advocates to promote high performing values, eliminate marginalization and disproportionality, and promote successful school practices to nurture a positive and proactive community environment and college/career readiness. This means discovering creative ways of putting different people, their talents, intelligences, and experiences together so all students, families, and staff are appreciated and valued. Thank you so much for your interest in Hillcrest.